My last blog posting was way back in February – a big thanks to the freelance gods who have kept me so busy over the last eight months that I have totally neglected my blog, website and marketing outreach. I begin this posting with a cute kid photo to get your attention. 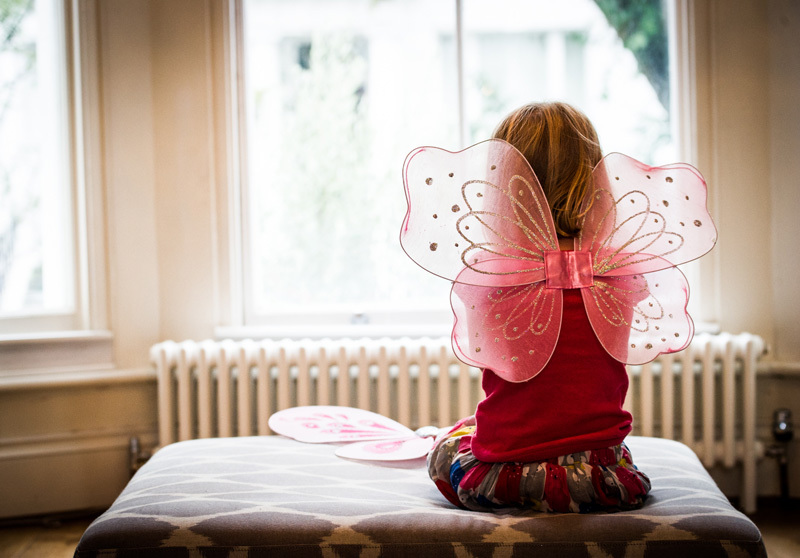 A reluctant subject during a recent family portrait session in London, England. important things to keep up with is exactly what I have been putting on the back burner……. my blog. 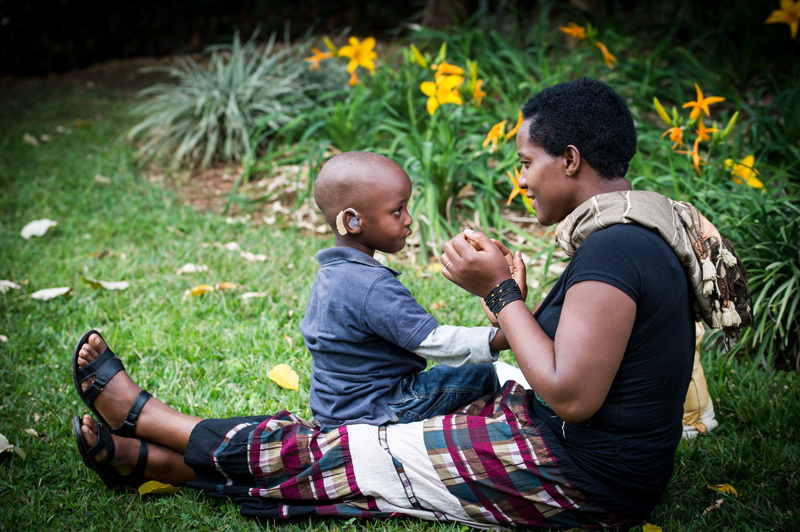 So, I am giving a bit more priority to the blog right now and am excited to share some of the work that has kept me running from one job to the next. 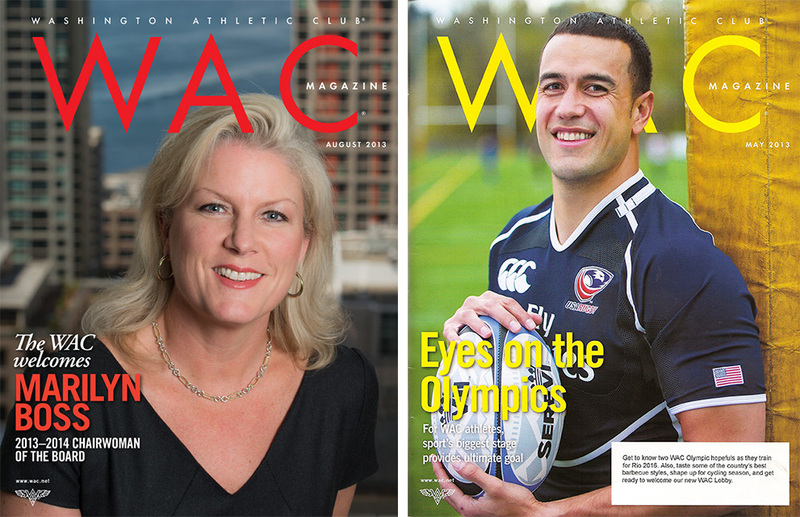 I have been balancing a variety of different shoots – daily assignments with regular clients like the Bill & Melinda Gates Foundation, the Clinton Foundation and the Washington Athletic Club, plus new editorial clients including Consumer Reports, Health.com and AARP. 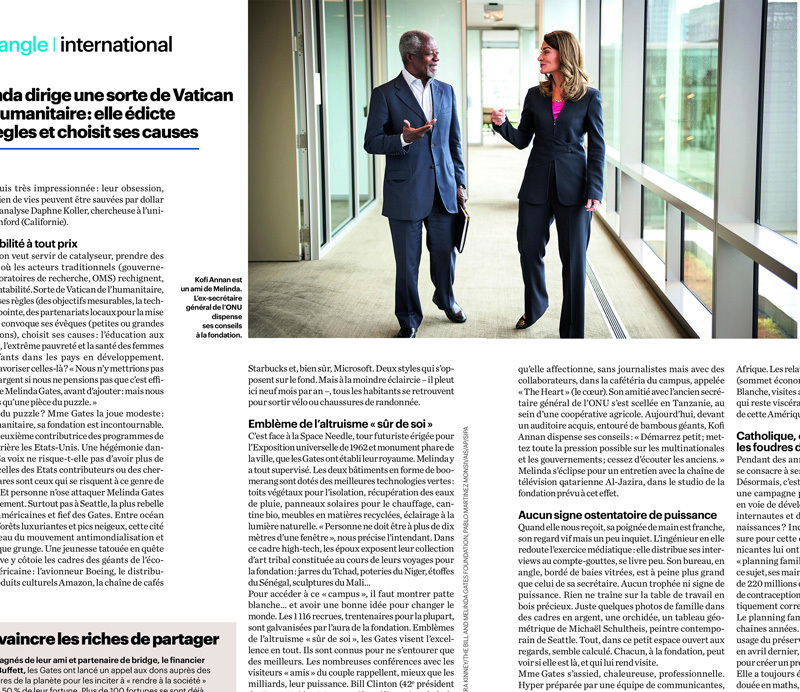 This photo of Kofi Annan and Melinda Gates taken at the Bill & Melinda Gates Foundation in Seattle, was shot for an article on Melinda in LeParisien Magazine. 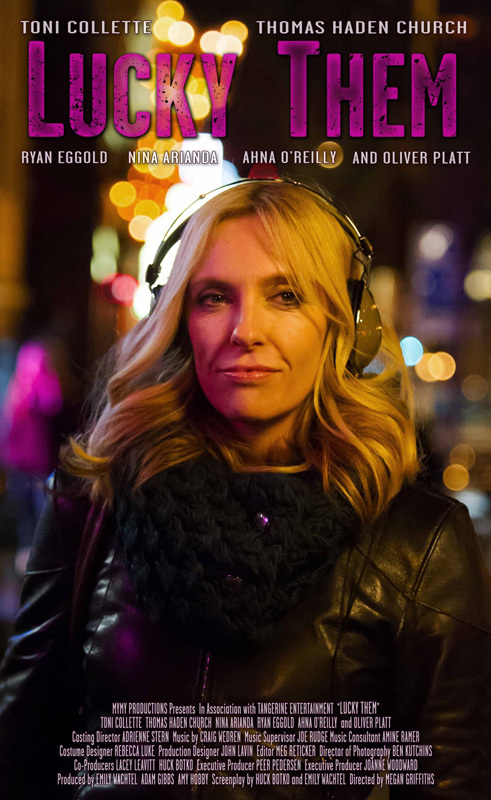 Actress Toni Collette, star of the movie “Lucky Them” was photographed walking down Pike Street in the Capitol Hill area of Seattle. I was walking backwards as I was shooting her and was crossing my fingers that at least one frame was in focus! 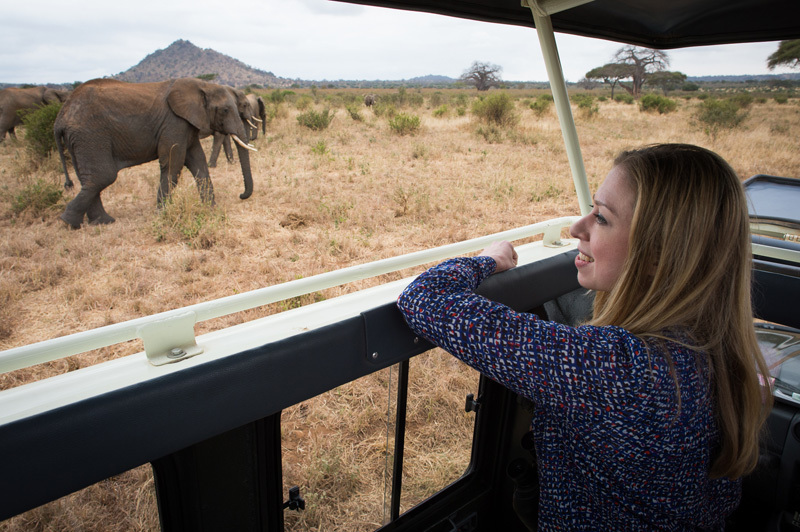 My work with the Clinton family continues………I traveled to Africa with the Clinton Foundation or as it is now known, the Bill, Hillary and Chelsea Clinton Foundation, in July During the nine-day trip, we visited Malawi, Tanzania, Zambia, Rwanda, Zanzibar and South Africa. 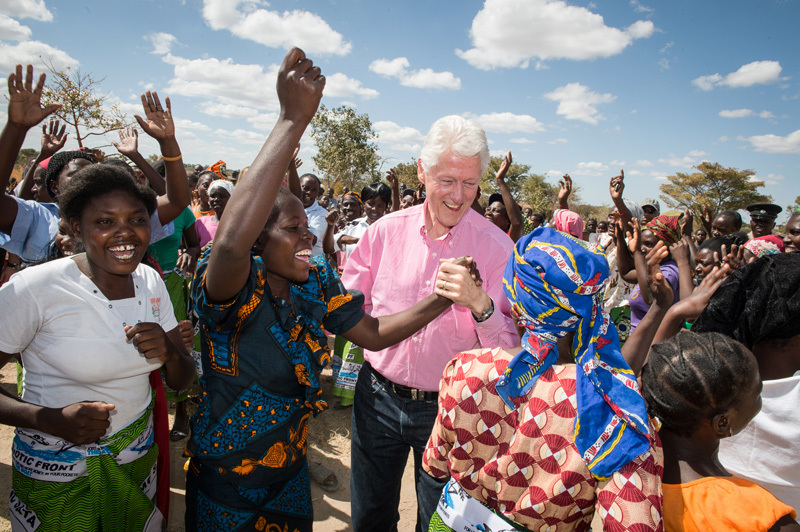 President Clinton greets villagers in rural Zambia. Chelsea Clinton is greeted by kids outside the Ramotse Clinic, a Clinton Health Access Initiative (CHAI) grantee, in South Africa. 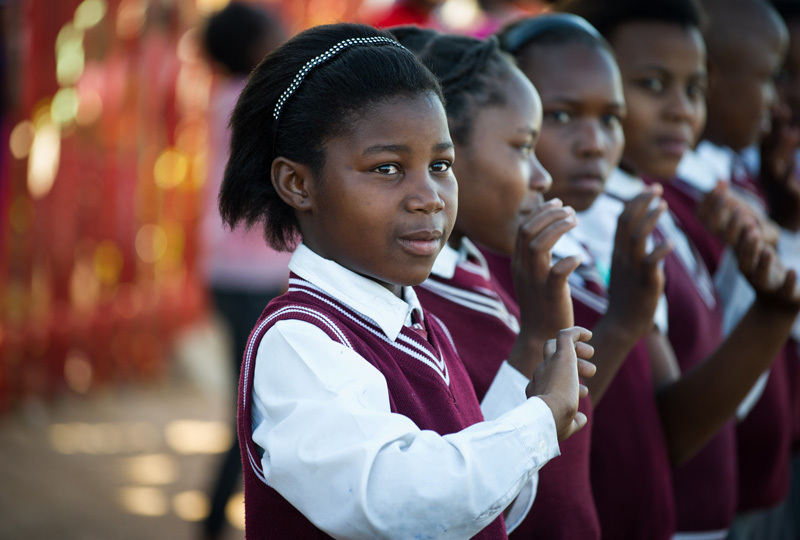 Young school girls perform a song for the Clinton Foundation delegation outside the Ramotse clinic in South Africa. 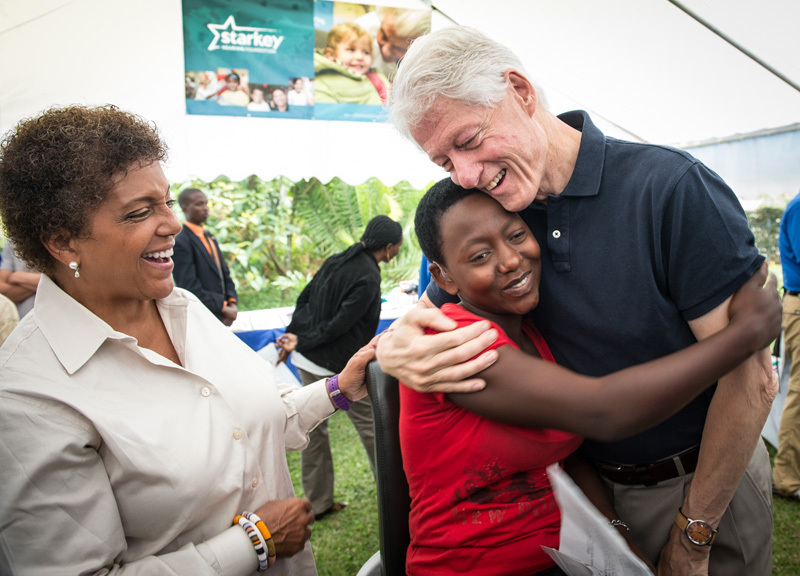 President Clinton hugs a young hearing-impaired girl who was fitted with a hearing aid at a Starkey Hearing Foundation event in Kigali, Rwanda. At left is Linda Johnson Rice, publisher of Ebony and Jet magazines. I was in New York City in September for the 2013 Clinton Global Initiative annual meeting. Featured speakers included President Barack Obama, Bono, Sheryl Sandberg, Bill Gates, Melinda Gates and a special appearance by 16-year-old Pakistani teenager Malala Yousafzai who received a Clinton Global Citizen Award for her work promoting education for girls. Also, former Vice President Al Gore stopped by for a quick meeting with President Clinton. It was fun to see the both of them together again, with V.P. Gore commenting that the two of them looked older and grayer, but I hadn’t aged a bit. I always liked Al. 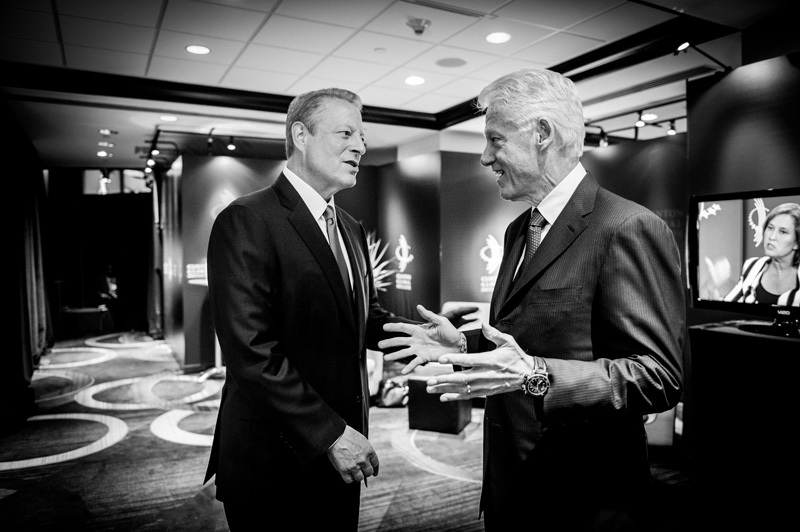 Former Vice President Al Gore and former President Bill Clinton share a moment backstage at the Clinton Global Initiative in New York on September 24, 2013. 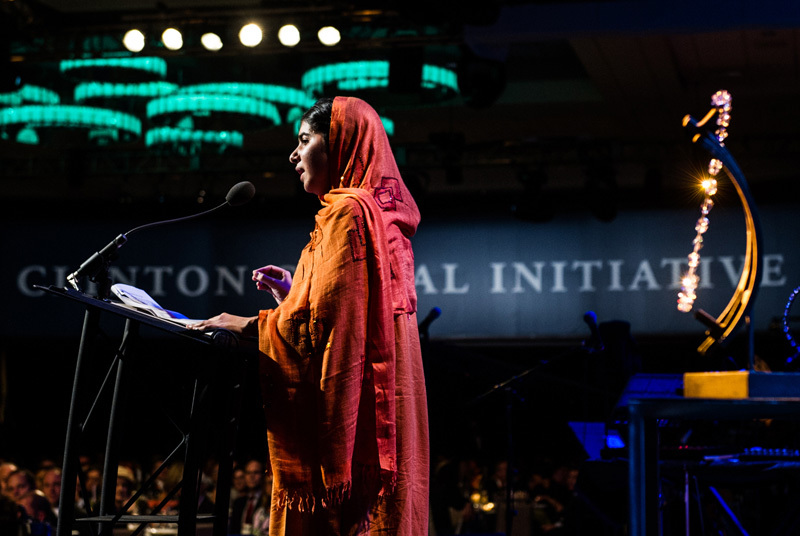 Malala Yousafzai accepting a Clinton Global Citizen Award for her work with promoting girls and education. So inspiring! And finally, I am excited about an ongoing photojournalism project that I have been working on for the last several months which has me in the role of photographer as well as photo editor/producer. I have been given an opportunity to bring together a group of amazingly talented women photographers – Barbara Ries, Jan Sonnenmair, Callie Shell, Melissa Farlow, Melissa Lyttle and Ami Vitale. We are in the editing process right now on the project, so can’t publish any photos here on the blog, so stay tuned. 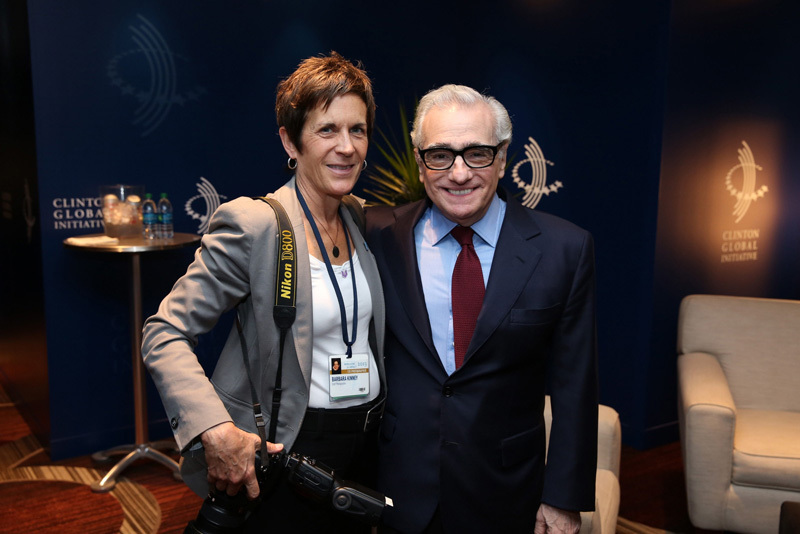 Instead I leave you with a photo of me and Marty, taken backstage at CGI in NYC. Maybe he will hire me as still photographer on his next film?